Pick-up from Bagdogra/NJP & transfer to Indo – Bhutan Border (Jaigaon-Phuentsholing) through the Tea Estates. Check in at the hotel. You can enjoy the evening visit to Zangtho pelri Park. Leisure at the hotel. Complete all the immigration formalities at Permit Office . Transfer to Thimphu, enroute halt at Chuzom to take photographs of confluence of two rivers of Bhutan. Takin Preserve - A wildlife reserve area for Takin, the national animal of Bhutan. Buddha Point - One of the largest Buddha Statue in the world, at 169 feet (52 m) and contains 100,000 8-inch-tall and 25,000 12-inch-tall gilded bronze Buddhas. 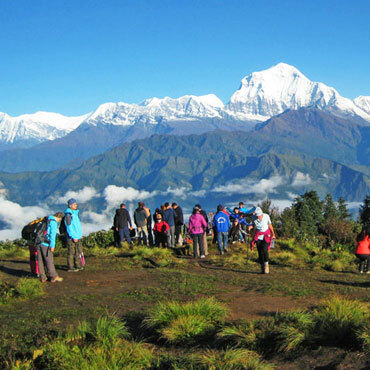 After permit ( Permit is not issued on Saturdays, Sundays & Govt holidays) drive (70 kms / 2.30 hrs) to Punakha/Wangdue, en-route halt at Dochu La Pass (3,100 meters), the pass is a popular location among tourists as it offers a stunning 360 degree panoramic view of Himalayan mountain range. The view is especially scenic on clear, winter days with snow-capped mountains forming a majestic backdrop to the tranquility of the 108 chortens gracing the mountain pass. After breakfast excursion to Gangtey & Phobjikha- [alt. 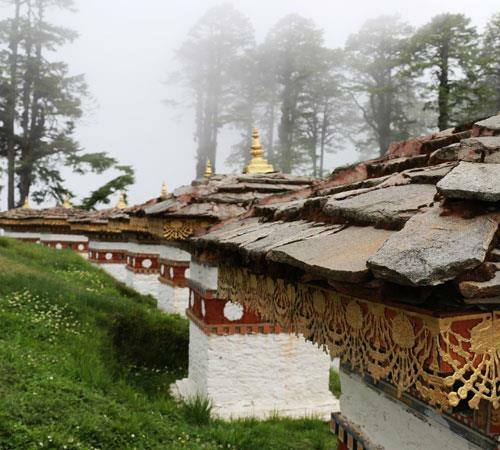 3000m] : The valley of Gangtey is one of the most beautiful spots in Bhutan. 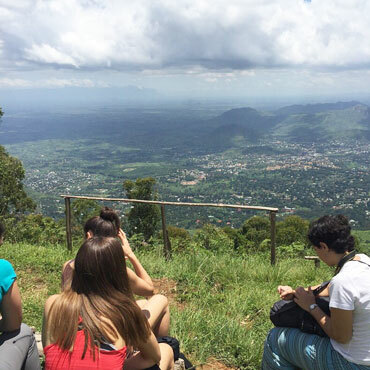 The surprise of finding such a wide, flat valley without any trees after the hard climb through dense forests is augmented by an impression of vast space. On the valley floor lays the village of Phobjikha. This place is the winter home of black necked cranes that migrate from the arid plains in the north to pass winter in milder and lower climate. 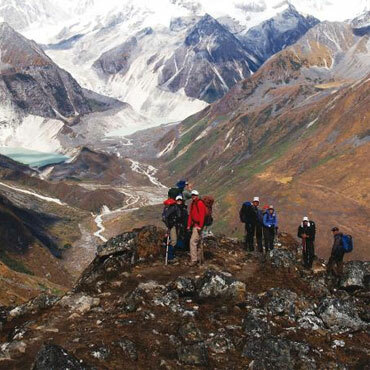 Phobjikha,at an altitude of 2900 m, falls under the district of Wangduephodrang and lies on the periphery of the Black Mountain National Park. Return at Punakha. 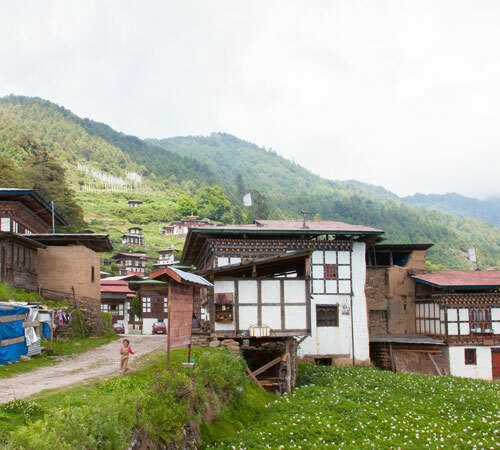 After breakfast, transfer to Paro & visit Ta Dzong (National Museum) and then walk down the trail to visit Rinpung Dzong which has a long and fascinating history. Afternoon visit Drukgyel Dzong, the ruined fortress from where Bhutanese repelled several invasion by Tibetan armies. While getting back stop at Tiger’s Nest View Point. 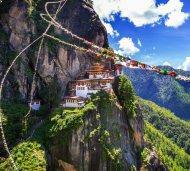 Later visit Kyichu Lhakhang, one of the oldest and most sacred shrines of the Kingdom. Return at hotel. 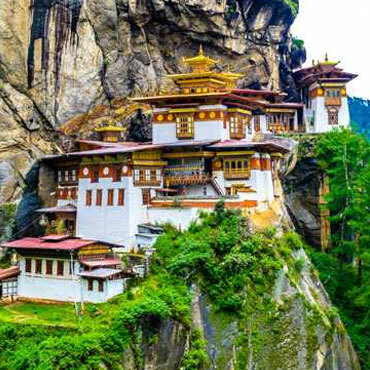 Bhutan’s most iconic landmark and religious site, located approximately 10 km north of Paro town at an altitude of 3.120 meters. 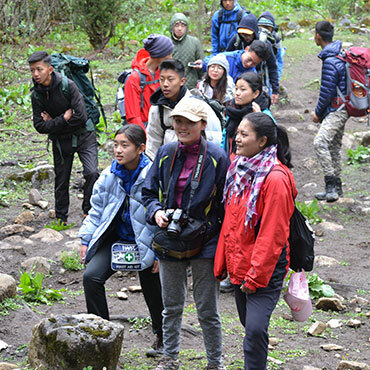 In order to arrive at the temple visitors must trek for around 2-3 hours through beautiful, shady pine forests. 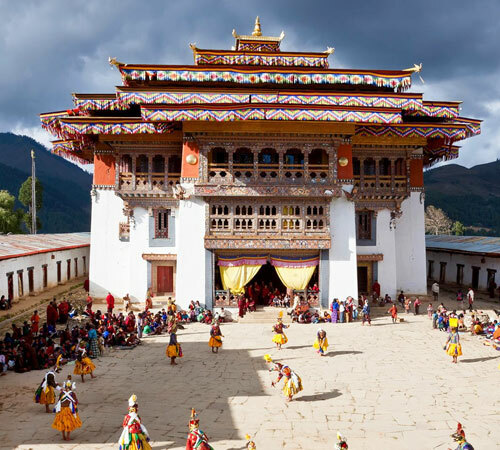 No trip to Bhutan would be complete without a visit to this remarkable world heritage site. After breakfast proceed towards Phuentsholing, reach at afternoon & check into the hotel. 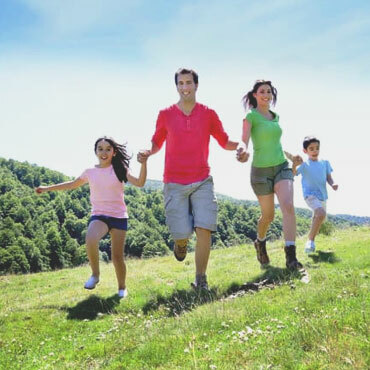 After breakfast depart for Bagdogra Airport on your schedule time with your sweet memories. Children above 12+ years will be charged 100% as per Adult Rate. Children of 5+ to 11 years sharing parent’s room will be charged as per CWB or CNB. Children below 5 years Complimentary. All payments for the tour should be made 10 days prior to the departure. Final documents will be issued only after the balance payment is made..